Brodetsky Primary School is an Orthodox Jewish faith school where the success of every child is achieved through creativity, independence and resilience. Our high expectations ensure that our children reach their potential whilst feeling confident to talk about their own beliefs and experiences in a happy and nurturing environment. We aim for our core values to be instilled in all members of our school community so that they underpin the strong moral purpose of our being, developing reflective and responsible citizens. Tzedek: Integrity and respect for one another and our different beliefs and cultures. Provide our pupils with a broad and balanced curriculum which is designed to develop our pupils’ knowledge, skills, understanding, personal and social development, whilst ensuring excellence for all. Recognise the need for our pupils to achieve their full potential, whilst deriving maximum enjoyment from their educational experience. We aim to provide meaningful learning opportunities which engage all pupils fully and encourage them to progress at an appropriate rate. Encourage and stimulate pupils to have curiosity and creativity with the confidence to try new challenges in order to prepare them for lifelong learning and economic well-being. Provide a professional environment where pupils and staff are encouraged to work independently and collaboratively in a climate of mutual trust. 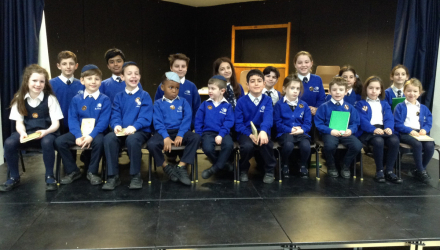 As an Orthodox Jewish school we embrace the need to educate our pupils within a moral framework that reflects and promotes religious beliefs and practices fostering a pride in their Jewish identity.